Career in Aerospace Engineering: Has gliding through the atmosphere and flying into space been one of your dreams? Do you have a passion and curiosity for building sophisticated flying machines and hypersonic spacecraft? Aerospace Engineering offers a combination of all of this. If you are a person with an inclination for working on missiles, lunar, rockets, space station, lunar and space-shuttle, apart from aircraft and helicopters, then Aerospace Engineering could be for you. Aerospace Engineering primarily is a multidisciplinary field of study dealing with development of aircraft and spacecraft. The field includes a number of disciplines like aerodynamics, propulsion, avionics, material science, structural analysis and manufacturing. While Aeronautical Engineering deals with the airplanes, its design and working, Aerospace Engineering is all about working on spacecraft and rockets. How to become an Aerospace Engineer: What after 10? Students who aspire to be aerospace engineers have to start from the 12th standard itself. In terms of stream, after 10th, students should study science with Mathematics, Chemistry and Physics as their subjects. How to become an Aerospace Engineer: What after 12th? Candidates who qualify 10+2 from CBSE or any equivalent with Science as core subject are eligible to apply. A number of public and private institutes offer 4-year programme in India. Admission to public-funded institutes will be on the basis of JEE Advanced and institute-specific exams in the privately-funded ones. JEE Main: The Joint Entrance Examination is the first level of the Joint entrance test conducted for admisison to Indian Institutes of Technology and other government as well as private engineering colleges across the country. the exam is held both in the online and offilne mode in April every year. MAHCET: The Mahasrashtra Common Entrance test is conducted for admission to engineering colleges in Maharastra. Not all colleges offer aerospace engineering though, so students have to first check if the institute they are applying to offers aerospace engineering. The exam is held in May every year. KEAM: The Kerala Engineering Agriculture Medical Entrance Examination or KEAM is conducted for admission to engineering colleges in Kerala. The exam is held in April every year. Like MAHCET students have to first check whether the institute offers aerospace engineering or not. Career in Aerospace Engineering: What do I study? 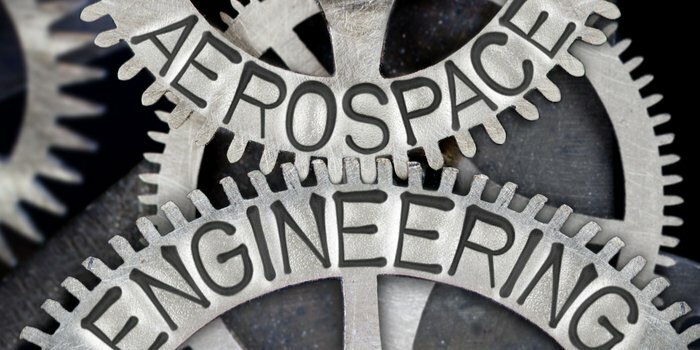 The subjects taught at Bachelor’s level for a career in aerospace technology include Aerodynamics, Flight Mechanics, Flight Dynamics, Aerospace Structures, Aeroelasticity, Thermodynamics and Aerospace Propulsion System, Space Flight Mechanics, Spacecraft Dynamics and Control, Computer Application in Aerospace Engineering etc. Where can I study Aerospace Engineering? Students aspiring to pursue a career in aerospace engineering can enrol in the Bachelors programme right after 12th. Some institues would, however, require students to clear Here are few institutes where you can study Aerospace Engineering in India after 12th. Click here for the complete list of colleges offering Aerospace engineering in India. Career in Aerospace engineering: What after graduation? Students can either go for M.Tech or MS programme to pursue a career in aerospace engineering. Higher education will give clarity in which area to specialize. One can also choose to work after graduation. There is a growing demand for aerospace engineers in military, civil aviation and space organizations. The top recruiters for aerodynamics graduates in India are DRDO, HAL, ISRO, Civil Aviation Department, Air India. Top recruiters abroad include Atkins Aerospace, Honeywell, Boeing, Lockheed Martin, AIRBUS etc. UAV (Drone) market has also experienced nearly exponential growth globally in past few years. With sheer hard-work, one can also get employed with NASA. The average package for freshers in this field is between Rs. 10-15 lakh annually which gradually increases with experience. The scopes for both employment and education are immense in abroad. Foreign institutes like Imperial College, London; Cranfield University, UK; University of Toronto offer flourishing aerospace departments with enriching space for research and employment. While the entry-level salary is around 10-15 lakhs per annum it can go upwards Rs. 3 to 4 Lakh per month, as per Payscale.